Life is full of options. For many of us, we have the freedom to do almost anything we want. We can choose where to live, what type of work we do, and how we spend our free time. We can choose what we want to learn, do, see, and be. This freedom is often taken for granted, and even more often not taken advantage of. This freedom combined with an unfathomable number of options actually poses a problem in itself. When you can do anything, what do you do? This is something that has crossed my mind for my own life, and I think it applies to many people out there listening, perhaps even you. For me these types of questions started showing up when I found more freedom in my early 20’s. For most of our adolescent lives, we live with structure. We are raised by our parents with rules. We go to school and are taught prescribed subjects. We learn social norms, and live in constructs that are built around us. Aside from developing our own personalities, many decisions are made for us. If you’re anything like me, you were raised and taught by your parents to go to school, get a good education, and so that you can one day get a good job. This is about a 22 – 25 year process, by the time you’ve completed school, graduated from college or trade school, and landed your first big job. It was at this age that I began to wonder what is next in life. Up to this point I had always had something to work towards. In elementary school, it was get good grades and be a good student. In middle school, it was starting to learn core subjects that would prepare me for exams. In high school, it was doing all of the things required to get into a good college. In college, it was passing classes and building a resume to get a good job. There was always something to work towards. Then, all of a sudden, here you are with a job and the next milestone is… retirement. What?! What happened to working towards something. Now this is a unique path, but one that applies to many people out there. This is an instumental point in life, I believe. This is where you start making big decisions that affect how and where you are going to live your life. If you elect to work for someone else, you’ll always be at the mercy of that someone to some extent. This is the path many people take. If you elect to work for yourself, you hold yourself accountable for all of your successes and failures. This is the path less taken. Of course, this is just one fork in the ever-long road of life. You’ll have many more of these big decisions. Marriage, family, hobbies, homes, vacations, and investments are just a few more of those big things that you’ll need to address. Some people take these things as they come, and don’t give much thought to them. They react to situations, rather than plan for them. Others have their lives well mapped out and take a conscious effort to build a life they want. 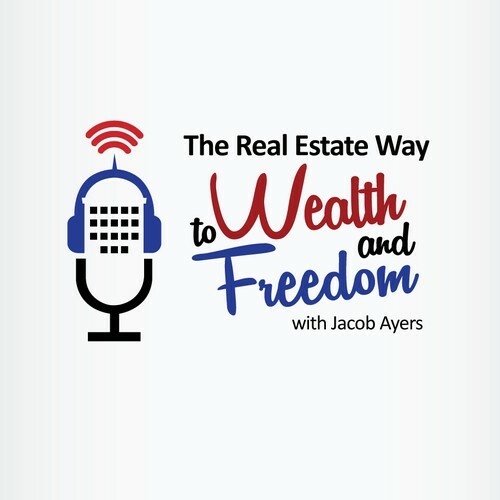 Well, this is a podcast focused on financial freedom, so I would like to tackle the decision of lifestyle design by investments. I wish I could be of more help to you in your choices of where to raise your family or how to which hobbies are right for you, but that’s just not in my wheelhouse. If you took my advice you would probably end up kayak fishing in the Texas Hill Country. Well let’s talk about the decisions you face around investing for your future, and what you should know. We can all agree that our future is important to us, and we want to set ourselves up now for success later on. But, we also want to live a little now and not have to sacrifice the present for future. What is one to do? We often revert to our old ways of living in structure with rules and social norms. Society tells us that we should invest in our future through a retirement account designed to one day support ouselves when we are no longer working. If you have to teach every single person the same thing (like in schools), then this isn’t terrible advice. The problem is, it’s not the best advice for every single person. Investing in a government qualified retirement plan (QRP), it traditional financial advice. Common vehicles to invest in include a 401(k), 403(b), and traditional or ROTH individual retirement accounts (IRA). Most common asset classes that you are able to invest in through these vehicles are paper assets – stocks, bonds, mutual funds, and index funds. Investing in these types of asset classes through a retirement account are passive and take very little time to manage yourself. However, they often don’t yield high returns and take decades of compound interest to grow to an amount that is a material to sustaining you through retirement. The tax implications are different for each type of retirement account. 401(k), 403(b) and traditional IRA plans are tax deferred, meaning you pay taxes when you withdraw money. Each of these accounts has limits on when you can start making withdraws, effectively locking your money until your retirement years. Now we won’t get into the details of each of these, as we’ve done so in past episodes. Investing in your future is just another one of those big decisions you have to make in life. You can ignore it, but that doesn’t solve the problem. You can take a hands off approach and trust someone else to manage your money, but that isn’t always the best option. Or you can take control of your future and invest in an asset class that pays you both now, and builds wealth for you well into the future. Take responsibility for your future. Be an entrepreneur of your own financial life. Hold yourself accountable for your successes and failures. You’ll surprise yourself with what you’re capable of. Live a intentional life that you want. Build your lifestyle as you want it.